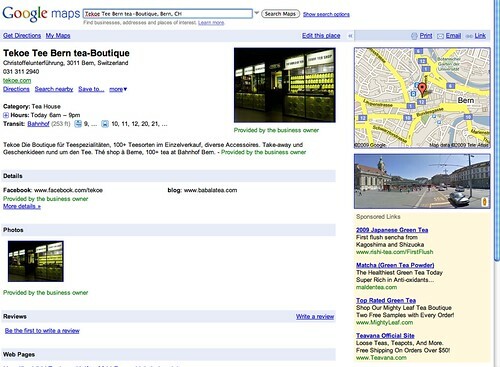 Home > Google News > Misc Google > Google Maps Still Offering Old Business Listings Page? A very active Google Maps user reported a bug in Google Maps at Google Maps Help forums. 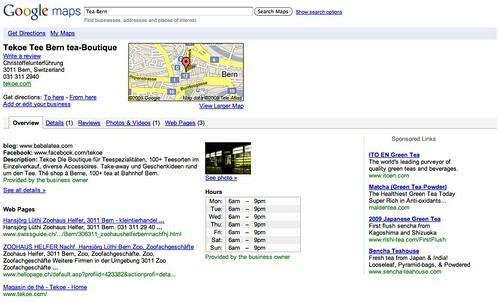 Recently Google Maps launched place pages for each business listing. It basically meant Google made a nice shiny page for each local business listed in Google Maps. I think what the bug is showing is that you can still access an old business listing page. I personally tried to replicate how this person was able to navigate to this page, but I was unsuccessful. I tried several different ways, so maybe Google fixed the issue but there has been no response from a Googler yet on this matter. Previous story: Maybe a Minor Google Search Update (October 2009)?